Due to a snow storm preventing air travel from the north east/upper mid west, Charon Asetoyer will not be able to be here in Eugene as planned. She has agreed to Skype with us tonight at the original time. The BEseries and the Native American Student Union (NASU) are honored to welcome Ms. Charon Asetoyer to the UO for a free presentation with dinner; please join us! Charon Asetoyer (Comanche), is a Native American women's health advocate and community activist, and the Executive Director and Founder of the Native American Community Board (since its founding in 1985) and the Native American Women's Health Education Resource Center (since its creation in 1998) on the Yankton Sioux Reservation in Eastern South Dakota. She has been the leading pathfinder for the Native American community's improved health and well-being, providing health information, referral services and a resource center on education, women’s reproductive health, economic development, environment land and water rights protection. Ms. Asetoyer believes in passing on traditional and holistic Native American/Indigenous healing methods through sharing ideas and education. She integrates these unique healing methods with community advocacy, grassroots organizing to implement improved environmental practices, challenging bio-medical paradigms, and modern approaches for the overall health and well-being of Indigenous people. These good medicines are passed down to the people, locally, regionally, and globally, without breaking the flow of Native American language, culture, and tradition. NACB is the first organization of its kind located on a Native American reservation in the United States. The organization operates successfully, engineering and dispensing many programs with a well-guarded fiscal accountability. As a result, NACB has sustained a long and endearing history with many nationally-known, individual, family, and corporate foundations. In April 2015, Ms. Asetoyer was named one of “The Top 10 Influential People in Indian Country” (http://indianz.com/News/2015/017298.asp). In March 2016, she was named by the Ms. Foundation for Women in partnership with NBCNEWS.com as one of 31 (for the 31 days in March, the Women’s History Month) women of color in the country who, through their actions and words, lead the way toward a more equal world. Previously, she received “The Gloria Steinem Woman of Vision Award" from the Ms. Foundation for Women, and she received the United Nations Distinguished Services Award. In 2001, she received the “Jessie Bernard Wise Women Award” from the Center for Women Policy Studies. In 2002 she was one of the “Bread and Roses Award Winners,” an award honoring Women of Color in the Environmental Justice Movement held during The Second National People of Color Environmental Leadership Summit in Washington, D.C. Charon was one of twelve women honored with the "Bread and Roses" award for her leadership, impact in grassroots organizing, innovation in solving environmental justice problems, and commitment to the principles of environmental justice. In January 2005, she was selected to be one of the “21st Leaders for the 21st Century” by Women’s e-news. In 2017 Charon was the first American to receive Amnesty International’s Ginetta Sagan Award for Human Rights for her work with Indigenous women’s rights. Ms. Asetoyer was nominated by the W.K. Kellogg Foundation, and thereby appointed and confirmed by the President of the United States (Clinton Administration) to serve on the National Advisory Council for the U.S. Department of Health and Human Services. She is well-known as a public and private servant of Indigenous people on local and national levels. 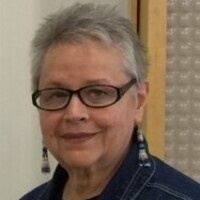 Ms. Asetoyer has served on the Board of Directors of the Indigenous Women's Network, the board of directors for the Honor the Earth Campaign, and the Native American Community Board and was an appointee to the National Environmental Justice Advisory Committee (NEJAC) of the U.S. Environmental Protection Agency. She has served on the National Minority AIDS Council in Washington, D.C. and as a National Advisory Committee Member for Action for Corporate Accountability based in New Haven, CT.
Charon was one of the original authors of points 1, 5,10,11,13 and 14 of the “Principles of Environmental Justice” which were adopted by Delegates to the First National People of Color Environmental Leadership Summit in October 1991, in Washington DC. Since then, the Principles have served as a defining document for the growing grassroots movement for environmental justice. She has written several articles on Fetal Alcohol Syndrome (FAS) and has written several articles on its impact on Indigenous populations. She has contributed articles on "Health and Reproductive Rights to the Indigenous Women" in Indigenous Women Address the World, a book derived from the U.N. Fourth World Conference On Women, Beijing, China, 1995. Ms. Asetoyer's other publications include, "A Nation in Distress" Front Line Feminism, San Francisco, 1995, "First There Was Small Pox", Women, AIDS and Activism, Boston, MA, South End Press, 1990; pp. 91-94. Wicozanni Wowapi Good Health Newsletter, Fall 1995, Vol. I., "Native Americans: An Overview," HIV Prevention in Native American Communities. Oakland, CA: National Native American AIDS Prevention Center1992: pp.63-65., "Public Denial, Private Pain," Health Wire. January, 1994; pp. 1-3. "From the Ground Up," Race Class and Gender, Watsworth Publishing Company, London, 1998, pp. 529-534. “Article #132,” 250 Ways To Make America Better, George Magazine, Villard Publishing Company, New York, 1999, pp. 175-176. She edited and co-wrote NACB’s book (released November 2003), Indigenous Women’s Health, Within the Sacred Circle. She was a contributing editor for the graphic novel, What to Do When You're Raped, published by NAWHERC in 2016. She has spoken at Dartmouth College, Harvard Law School, Hunter College, New York University, Oberlin College, University of Ohio, World Health Organization (WHO), numerous national conferences and rallies on reproductive health and rights of Indigenous women. Charon has also participated in many international forums concerning women’s issues, population and human rights issues. Prior to founding NACB, Charon developed a Native American Health Education Project for the American Friends (Quaker) Service Committee and worked to improve community health in San Francisco through the Urban Indian Health Clinic. She holds a Masters of International Administration and Management (from the School for International Training in Brattleboro, Vermont) with a Bachelors of Arts in Criminal Justice. I wish she was here in person, but overall I left feeling optimistic and overwhelmed at the same time. As a Native woman, I found her discussion to be extremely informative and at the same time hopeful that there are people out there that are doing amazing work in Native country. She pushed me to want to do better and more for my community. Thank you so much for having her as a guest speaker. The food was amazing as well!